Transition is too tightly conceptualised. Political change in Africa can be better understood if we reimagine transition as an analytical tool, drawing on earlier views from intellectual history. This enables seeing political change processes as open-ended, with their own seeds of transformation. Political change does not necessarily upend political order. There is order if the change that occurs conforms to already known forms of alteration, as facilitated by institutional arrangements and embedded in widely shared normative beliefs. So events considered to 'disrupt' that order, even if promising renewal, may simply cause reactions to the effect of maintaining it. And yet, some disruptive events do yield changes to norms and institutions. The fall of the Berlin Wall in 1989 is seen a momentous such event, triggering a re-introduction of the paradigm of 'transition' to label moves away from authoritarian rule, as seen across world regions. 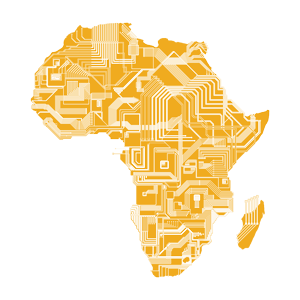 Thirty years on however, disillusionment with the results of these transitions, in Africa and beyond, has led to a search for new conceptual tools. Drawing on Guilhot's (2002) history of the concept, this paper argues that transition, if re-imagined, remains useful to understand political change. In an early understanding, transition was open-ended: a stage in a process that came with its own seeds of transformation. But the idea of transition that took hold after 1989 assumed an orientation of the process of change, towards a specific model of society. This teleological view is still dominant, even as the presumed goal of liberal democracy remains elusive. The early view however saw transition beyond any telos, challenging linear and progressivist visions of history. This resonates with the open-ended nature of political change in early 21st-century Africa. Freed from any historical determinism, transition helps us to better grasp such change.